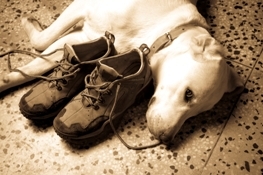 Ask the Expert - Advice from a Real Shoe Dog! Have a question about footwear that only an expert can answer? Well, ask away. 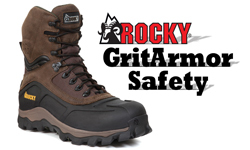 We are the experts in safety shoes and boots and the leader in managed safety footwear programs. Also browse through our catalog of articles below that were inspired by submitted questions. Who knows, your question just might be our next article. 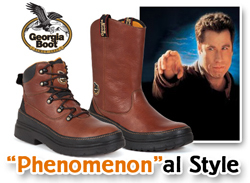 When we work on these blog/posts for Lehigh Outfitters my focus is usually on men’s industrial footwear because it ties in with my background as well as being the type of product we tend to sell most. However, I believe that now is a good time to make an exception and highlight a couple of our kids’ footwear styles. 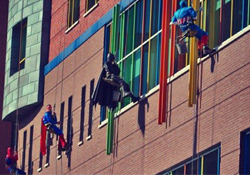 Recently, there was an inspiring report on one of the national news stations regarding something being done special for kids in certain hospitals. I was recently telling a co-worker about a wrestling camp I attended when I was in junior high school a number of years ago. I was one of the youngest and least experienced participants at the camp. Plus, I was then, as I still am now, not the quickest of learners. One of the heads of this camp had a reputation of being a great wrestling coach. While he may have been great for the more experienced wrestlers, he was not a good fit for me. He liked to call me out in front of the class to see how I was grasping new moves. I did not do well as I was overwhelmed and dreaded every day of that camp. I was recently watching a movie that I feel I can relate to well - As Good as it Gets starring Jack Nicholson and Helen Hunt. Jack Nicholson’s character seems to find a way to always mess up and say the wrong thing, just as you think he’s cleared up a previous error. I really feel for Jack’s character at times as you see him work so hard to try to atone for his past mistakes while trying to win over Helen Hunt’s character; and then with one quick slip-up he has to try to work his way out of trouble again. However, he is the cause of most of his own troubles. I had a couple of things I encountered just the other day that definitely helped make my day be a better one. One of them was getting to see one of my favorite movies with Richard Dreyfus - Mr. Holland’s Opus. 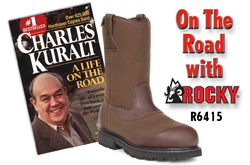 In a recent blog I wrote about one of the books I have enjoyed reading through the years by the former CBS news reporter Charles Kuralt titled, A Life on the Road telling about his life traveling and reporting. As I believe is likely for almost everybody at times, this past year has provided some road bumps in my way. I do not like them; but try to handle them the best I can because I do not see any better options. I was able to catch portions of one of my favorite movies, Phenomenon starring John Travolta, while I was trying to beat the heat during Memorial Day weekend. I like how Travolta’s character, George Malley, struggles with dealing with telekinetic and other special powers he somehow attained that he felt did not belong to him, but to someone who was much smarter than he. 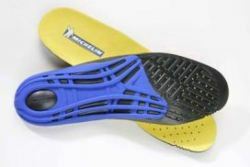 Two keys to the success of protective toe footwear styles are their protective properties and their other functional aspects, such as materials and construction. However, there are other important aspects not to be overlooked regarding them. One key additional factor is style. 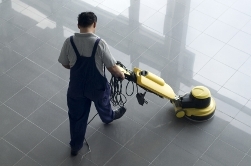 We realize that our customers want to be safe and comfortable, but also want to look good. 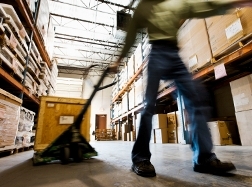 Ergonomics has been a popular word we have encountered through the years which, from my perspective, is trying to help the right person find the right shoe for their particular work environment needs as well as their personal needs. While a shoe may be right for me, it may not be the right shoe for you because of possible differences in the type of work we may do or our own personal needs/wants, but there are certain shoes that appear as stronger candidates than others. I have been a fan of the James Bond movies through the years. I recently attended a presentation involving some of our Rocky Brands Product Development people that led me to think of James Bond. When I attend meetings along those lines, it serves as a reminder to me how much talent and work goes into new products. Our developers and designers can be so busy behind the scenes that the extent of their roles may be overlooked at times. I remember back to elementary school years when one of my classmates and I had to teach the class regarding a particular subject by acting out the answers and questions as they would be done on the television show Jeopardy. My classmate was to be the host reading the answers and it was to my job to be each of the three contestants providing the questions to those answers. For those of you that may not be familiar with Jeopardy, the contestants’ answers must be in the form of the question. I remember back to my elementary school days when my big brother in high school was in a band and played during a spaghetti dinner at our church. Seeing that my brother was performing and my parents were sitting with parents of other band members, I was able to sit with the younger brother of one of the band members at a separate table. We thought we were pretty cool at our own table. Thanks to the Chieftains in Our Lives! I have been very fortunate through the years of being with some people who are great organizers and leaders. This was true of our high school quarterback who had a way of rallying us on the field and off the field. However, we had other good teammates who could pick up the slack when need. Two in particular were so good about keeping our group active and together that they literally carried me out the den in my parent’s house basement when they felt I was laying too low and not out with the group enough. I appreciated it later. 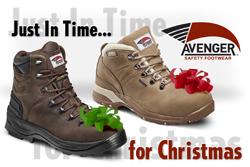 New Avenger Styles Just In Time For Christmas! Seeing that it is that most festive time of the year, I thought that I would start this blog and then turn it over to one of our outstanding elves here at Lehigh Outfitters to put her spin on this week’s post. As you read on, I think that it might help put you in the seasonal spirit as I believe it has helped me . . . While the holiday shopping season is well under way, we have recently been able to add two new styles from Avenger to our Lehigh Outfitters web site. We originally did not anticipate them being available until 2012, so you could almost say it’s a Christmas Miracle of sorts! When I was young I had my own rocking chair that was built pretty much for my size at that time. I used to spend extended time periods on it and could sometimes get a bit carried away while rocking. One day I actually went overboard as I went too far backwards and hit my head on the corner of a piece of furniture. We only had one car in our family at that time and my father was off to work in it. This left my mother to take care of my wound at home which she did. I was recently watching a TV show about a former fine collegiate and professional football player in Herschel Walker. While there were a number of great football highlights shown during the course of this show that I enjoyed, the part of the show that had the greatest impact on me was when they were interviewing Herschel’s son about his father afterwards. I started in the shoe business a good number of years ago. It was my first full-time job and I had moved to an unfamiliar area (in terms of geographical location as well as the people). Plus, I did not know the first thing about shoes. 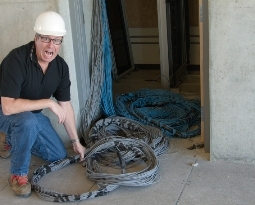 However, the company thankfully took a chance on me with the hope that I could learn well over time. When I still had not been on the job for very long and still did not know too much about shoes, the company found a task that they thought was right up my alley. SlipGrips Adds Another Pro to its Mix of Footwear Options! 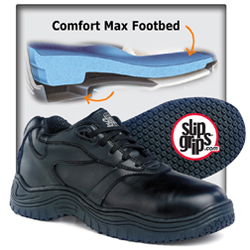 Our selection of various brands in our SlipGrips hospitality oriented slip-resistant footwear package continues to grow. 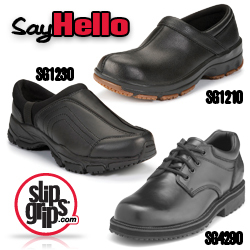 We continue to offer many different slip-resistant brands including our SlipGrips as well as others such a Converse, Rockport, Merrell, Spring Step and many more. 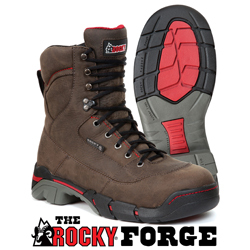 While it seems that we can never have too many fine work shoe styles, we have recently started displaying a new group of Rocky Forge work shoes on our Lehigh Outfitters web site. 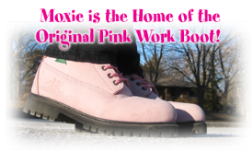 You can see steel toe as well as soft (non-protective) toe versions of them on our web site at this time. 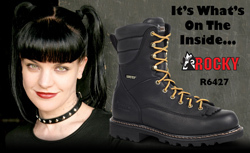 There are 6” lace-up, 8” lace-up, as well as 10” pull-on boots in both categories. 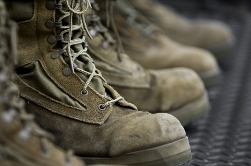 One inquiry that we encounter over time is what Made in the USA Protective Toe product options we have to offer. While you can see a good general grouping of options by typing Made in the USA in the Search box of our web site, there have recently been some newer additions that we really want to highlight to your attention. Customer Service Week – We Seek to Serve You ! While you may not all realize it, this past week was Customer Service week. Our Client Services and Customer Care staffs were working on a number of team building games while still servicing you in the meanwhile. I have always been a safety oriented person even going way back to the early years of my life. I recall back to when I used to take summer swimming lessons at one of our local pools. I remember working real hard on the arm motions, while not letting my feet stop contacting the bottom. I am thinking that it may have been somewhat entertaining, but also a bit frustrating for my mother to watch me try to work through this. 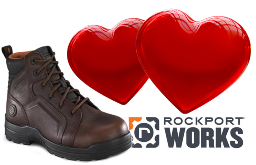 We try to highlight our various newer footwear options for workers performing tough tasks on a regular basis because we understand that those of you in charge seek to keep your staff satisfied and sometimes wonder what newer shoe options might be available. 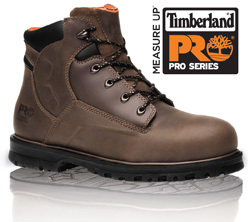 For you decision makers, we have recently added 3 new products on our website in Timberland PRO dress/casual styles. 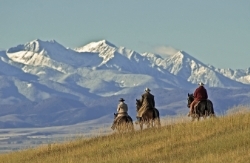 There may be times when people are seeking more protective toe western style boots than there are available in the marketplace. 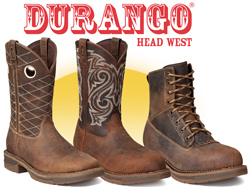 Durango has taken steps to improve this selection by adding three good looking Composite Toe Western boots to its offering. 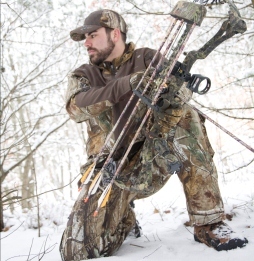 They are now displaying on Lehigh Outfitters.com. It definitely helps when I am trying to determine what blog subject to write about when I have a sample of a shoe under consideration at my desk and multiple people stop by to pick it up and check it out. This is the case with this week’s subject. 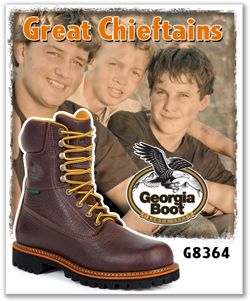 Anyone who has read some of my past blog posts, probably has caught on that I am a huge fan of our Georgia Boot FLXpoint footwear. 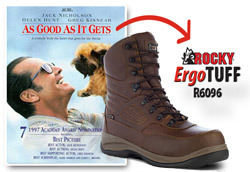 We have been receiving requests for a Steel Toe Waterproof Muddog Wellington boot for a good time, but did not have anything we felt really served the purpose. We still do not have one option for possible consideration here - we actually have two. 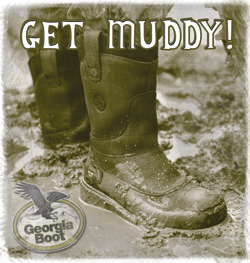 One newer boot that you could possibly check is our Georgia Boot Steel Toe Waterproof Muddog Wellington boot stock # G5594. 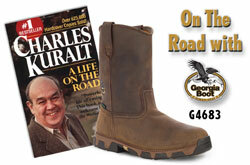 It shares many of the same properties of the current Georgia Boot Basic Muddog Wellington boot stock # G5655 except it is waterproof and has an upgraded comfort-oriented outsole. 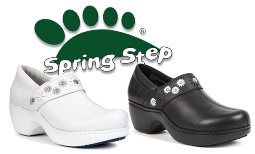 While you would think that most footwear styles would be known for what they do have in their make-up, there is a newer grouping of Nautilus protective toe styles that may be more known for what they do not have. 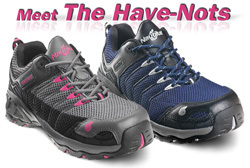 These Nautilus protective toe locut athletic styles are men’s stock #’s N1710 & N1711 as well as women’s stock #’s N1750 & N1751 and they have only been displaying on our web site for a short time. While we recently highlighted the Rocky Long Range product line in a previous blog post, I feel it appropriate to repeat it as we recognize a long-time patriarch of our company, Mike Brooks. Over the last few years I have had the enjoyment of working with our Client Services Department representative Jason Rhoads. Jason is a person who puts his heart and soul into his job. It is difficult for me to imagine Jason not being here working with us, but his wife has found an excellent employment opportunity outside of our area that has led them to decide it is in their best overall interests to move at this time. 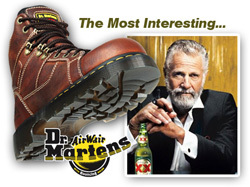 In our recent blog post we highlighted my favorite commercial character the Dos Equis man. 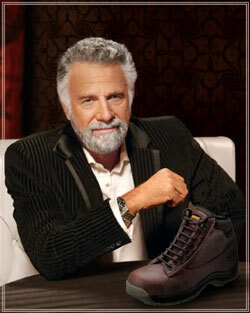 In case you are not familiar with him, the Dos Equis man is the self proclaimed most interesting man in the world. In his commercials for Dose Equis beer he indicates that he rarely drinks beer, but when he does he prefers Dos Equis. July is National Culinary Arts Month - Let's show appreciation to the Chefs! 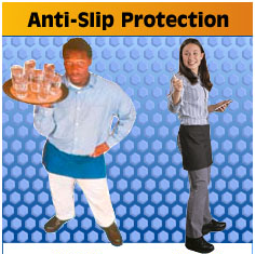 Our line of SlipGrips slip-resistant footwear is geared to many different lines of work including but not limited to casinos, cruise lines, and certainly restaurants. In this blog post, we want to focus on restaurants and particularly on chefs. July is National Culinary Arts Month and it is time to show appreciation to the chefs and kitchen workers. Over time we have focused much attention on our hospitality slip-resistant products from various vendors including Merrell. 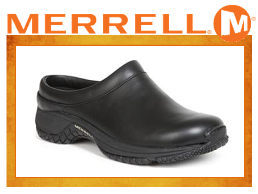 Our black Merrell slip-resistant clog and side gore slip-on styles have been well received for various hospitality applications seeking slip resistance in a high quality black uniform shoe. Different people find different commercials that really make them laugh. I have always been a big fan of the Dos Equis commercials that feature the self proclaimed most interesting man in the world. He is so cool, so diverse in his talents, and basically so not me. The Dos Equis man tells us about himself including that he rarely drinks beer, but when he does he prefers to drink Dos Equis. June is National Safety Month and the National Safety Council has now launched Falls Prevention Week, June 19-25. According to the NSC, “Falls are one of the leading causes of unintentional injuries in the United States, accounting for nearly 8.6 million visits to emergency departments (Injury Facts, 2011). 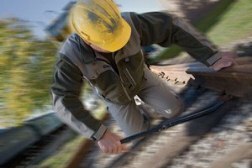 While there are different reasons for why a fall may occur, wearing slip-resistant footwear is one way to minimize the chances of it happening. 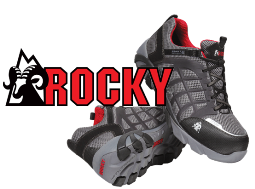 Our parent company Rocky Brands is currently focusing much emphasis on the importance of courtesy – encouraging a work environment of exceptional uncommon courtesy that is passed on to our customers. Of course, we believe we are already nice to each other, but we can always strive to do better in our interactions with our customers and fellow co-workers. 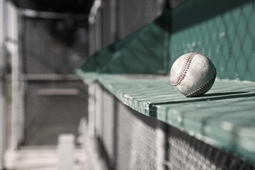 While I have lived in Ohio for a few years now and have over time become a fan of the Cincinnati Reds, you may have noticed in a past blog post that my favorite baseball team growing up was the Pittsburgh Pirates. While there were many Pirates players of which I was a big fan, including Matty Alou and Willie Stargell among others, my favorite player was Roberto Clemente. I am fortunate to have the opportunity to write about our new products. Seeing that my background is our product area, I love to talk about products. 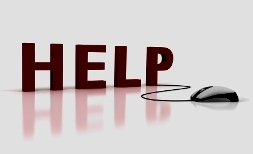 However, I am by no means the sole contributor to our blog posts – it is truly a team effort. We have people who supply the accompanying images and others who add or alter the headlines of the articles to help attract your attention. They may also tinker with my words when they don’t quite explain themselves as well as I had intended. Sometimes styles go away. But at Lehigh, we strive to replace anything that goes with something we think you’ll like even better. Three products in particular that were a part of our Slip Resistant offering in the past are the CD1210, CD1230, & CD4290 styles. In our continuation to improve the Lehigh Outfitters website we have been looking to grow our metatarsal selection; in particular our LoCut styles. 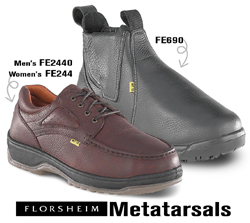 We now have men’s and women’s Florsheim LoCut metatarsal stock #’s FE2440 and FE244 respectively available for possible purchase. 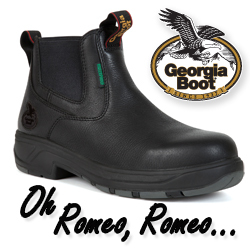 Georgia Boot has been providing a group of popular selling Romeo footwear styles for many years. 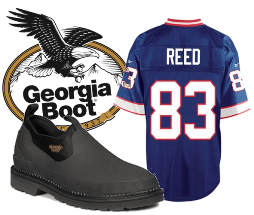 However, the Georgia Boot people asked themselves what they could do even better and came up with what I think is a great idea. They kept the easy on – easy off upper design of a Romeo, but added a new bottom construction to it. Here at Rocky Brands, I work with all different types of people with various skills and talents. There are people who have outstanding skills outside my areas of knowledge including design, merchandising, management and IT. 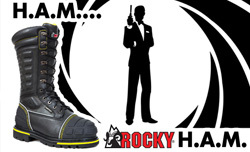 Simply put, at Rocky Brands we have a number of people that are very smart and quick. Those traits noted above all fall well outside my area of strength. My artistic skills have been limited at best. I have never been responsible for the actual purchasing process of obtaining our products and managing our inventories is done by our Supply Chain Planning group. 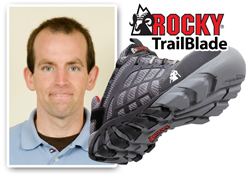 Composite Toe Lightweight Hiker – Is it suited for you? There are times when we have a shoe in our line that we feel like it has more to offer than we are generating from it. The Lehigh 6333 actually has multiple applications, but we might not be getting the word across regarding it. First of all, the 6333 is a protective toe work shoe that is compliant with the ASTM F2413-05 Protective Toe Footwear standards. So, if you just need a protective toe shoe, the 6333 may be for you. I recently left an E-Commerce meeting where my ears (and my mind) were filled with terms such as analytics, landing pages, left nav, etc. It is often times difficult for an old school shoe dog like myself to follow along with all of these modern technologies and languages. I am a guy who wears traditional shoes such as Lehigh Lites steel toe casual oxford stock # 5194 because they suit my style and comfort. 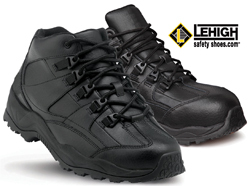 A few years ago we offered a Lehigh Black steel toe locut athletic uniform looking stock # 5402. While the Lehigh 5402 was a decent seller at the time, we felt that we could produce a better alternative. 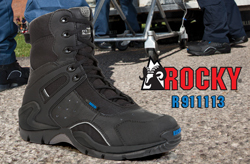 We felt that making a basic black uniform looking steel toe locut athletic style retaining its basic features (such as being compliant with ASTM F2413-05 Electrical Hazard standards) would be easy, but it was the two new features we added to it that could help generate extra reasons for people to possibly utilize it. 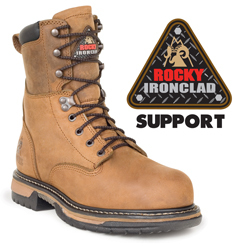 One of the footwear brands that we use to compliment our in-house Rocky, Georgia, Michelin, and Lehigh protective toe footwear brands is Timberland PRO. We have recently added some more Timberland PRO styles to our Lehigh Outfitters selection. 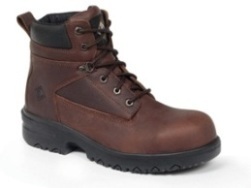 Included among them is their Timberland PRO Magnus stock # 85591. For over 13 years Rocky Marketing and E-Commerce Departments have benefitted from the enthusiastic, energetic presence of Joe Hanning. Working with and for Joe has been enjoyable, educational and at times exhausting as he is one of the few people I have seen who can go at the same pace as the head of our division for sustained periods. 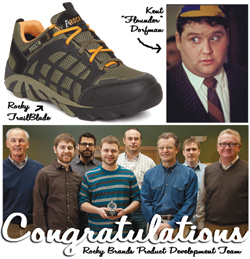 Congratulations to Rocky Brands Product Development! You may have noted in past posts that many of my footwear work years were in product development. 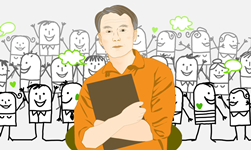 You may also have noted that I moved into the E-Com department and out of product development as I was surrounded by both experienced and younger product developers loaded with design talent. While I never had the design skills of our current developers, they have always treated me well I think at least partly because of the shared development aspects of our backgrounds. We have emphasized over time our commitment to diversify our SlipGrips product offerings. While we have provided some new styles of branded SlipGrips footwear recently, we have not stopped there. 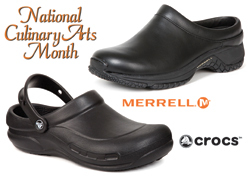 Included among some of our more recent additions have been the Spring, Merrell, and Crocs brands. We now have a newer addition to our SlipGrips package with the Avia brand. We have been working to further improve the selection of dress/casual protective toe styles on our Lehigh Outfitters web site. 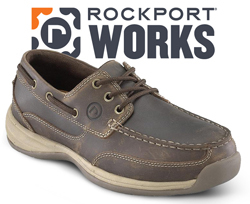 We have recently started to display a group of newer Rockport styles including a traditional men’s black steel toe dress wing tip stock # RK6741 at one extreme as well as a very casual tan color steel toe boat shoe stock # RK6736 on the other. 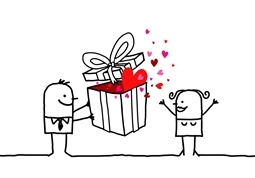 What Are You Thinking About This Valentine's Day? I was recently thinking back many years ago to my single days. I had pretty clearly reached the low point in my dating life when my shy and self-conscious personality was at its all time peak. It was around this time that a friend offered to fix me up on a blind date. I had never gone on a blind date and was dead set against them, but I decided to give one a shot this one time since desperation had pretty much settled into my mindset. If you think that it was bad that I chose to go out of desperation, I wonder how you would feel about my date-to-be being tricked into going on the date. I am writing this post early on Super Bowl Sunday even though you will not be able to read it until well afterwards. While most people are currently wearing either their Green Bay Packers or Pittsburgh Steelers colors, I am still wearing my Buffalo Bills colors. Super Bowl weekends were not kind to my Bills in the early 1990’s when they lost 4 straight Super Bowls. However, the Bills have had some positive Super Bowl weekend experiences since then when various players from their Super Bowl era (such as Jim Kelly, Thurman Thomas, & Bruce Smith) have been elected into the Hall of Fame on past Super Bowl weekends. 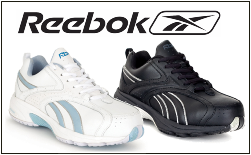 Whether you call them sneakers, hikers, tennis, or athletic shoes, Lehigh offers a multitude of sport style products from brands such as Converse, Puma, and Nautilus among others. 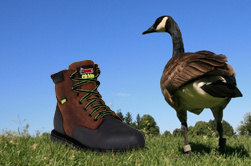 We offer composite toe as well as steel toe protective toe sport styles. 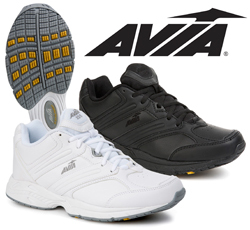 We also offer Static Dissipative as well as Electrical Hazard sport styles. I do not know if it is true for you, but for me, most week days speed by with my head spinning trying to keep up with the various tasks of the day. This week in particular, lead into our national sales meeting which is a place where we pull our entire team together and talk about our efforts for 2011. It is nice to spend time with a number of our key field sales people and home office employees away from the office on a weekend. This is certainly one of the highlights of the year for me. During a number of our recent blogs we have been highlighting different brands such as Crocs and Merrell that have been added to our diverse selection of SlipGrips products for hospitality use. 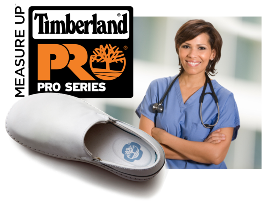 While we have offered Timberland PRO slip resistant products as part of our SlipGrips package in the past, we are now expanding it further with their women's Timberland PRO Renova Professional slip resistant products that could be appropriate for health care or hospitality purposes. Our most recent blog covered some of the fine new products being offered through the newer Avenger brand. While Avenger is adding some new styles for possible consideration, the established Nautilus brand is not sitting still either. 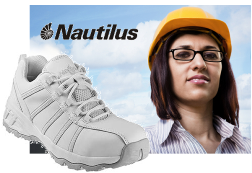 Nautilus has been strong in women’s footwear through the years and continues to be so now. I have somehow survived another holiday season. Please do not get me wrong, I love the holidays. It is the shopping part of it that can be a struggle for me. I am admittedly not much of a shopper. However, the one part of shopping I like to do is to provide my wife with some sort of surprise Christmas gift. It does not have to big in size or $, but I like to try to think of something that my wife does not see coming. SlipGrips Pumps it Up with a New Style! We have been telling you in recent posts about more new styles being added to our SlipGrips collection and indicating that there were more to follow. Another recent addition to the SlipGrips collection is our Women’s SlipGrips slip resistant pump stock # SG7586. We have been receiving requests for a new SlipGrips branded pump and the initial inventory of our SG7586 has just arrived. More New SlipGrips Styles Have Arrived! As we have noted in some of our recent blogs, we are actively growing our SlipGrips product selection. Included within our last SlipGrips related blog were some brand new SlipGrips branded products for both men and women. We had referenced some New SlipGrips Slip-on stock #’s SG7030 and SG7530 for men and women respectively. These new slip-on styles were value driven plus were made with a rubber outsole that not only has excellent slip resistance for hospitality use, but also has extra durability by its one piece design that does not have multiple sole layers that can potentially separate from one another. As further growth to our non-slip line of footwear for Lehigh Outfitters and SlipGrips.com (our sister site), we’ve recently added one powerful brand accommodated by several new SlipGrips styles at a price point that’s sure to meet anyone’s budget. 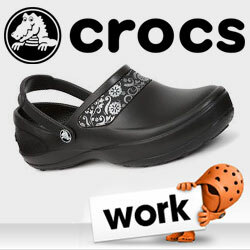 We have added the Crocs brand with 4 styles that were just uploaded to Lehigh Outfitters and SlipGrips.com. 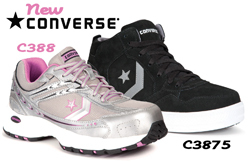 These styles include slip resistant Crocs styles for men and women. You can find these styles by typing Crocs in the search bar. 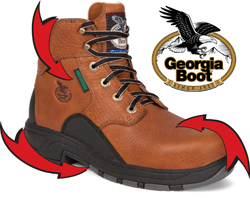 While our Georgia Boot division has introduced many outstanding work boot styles through the years, they are still moving full speed ahead as they are introducing a new line of Diamond Trax work boot products. 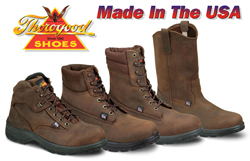 These work boots combine comfort and rugged features throughout, starting with their supple tumbled oiled leather upper extending down to their multi-layer bottom. I had written about the diversity of our products as well as our people in my most recent blog. Only a very short period of time had passed when I realized that there were so many more products and people that I could have discussed. While I have some thoughts that come right to my mind, I believe that no matter how much I write about, I could always write more. I had mentioned about an Outbound Sales / Customer Experience representative that is known for arriving to work before the rooster and we all believe it because none of us are there soon enough to observe anything otherwise. She is so early and so ready to go! Our Lehigh Outfitters home office recently conducted a fun exercise where came up with phrases to identify individuals within their departments and it was up to the rest of us to try to identify the employee from these unique phrases. Kiltie - Use it or Lose It? 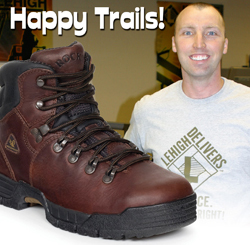 You have come to look at Lehigh Outfitters through the years for many different types of protective toe footwear. 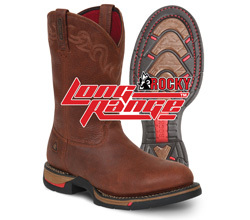 Not to be overlooked in our variety of protective toe styles would be various western styles including our Rocky Original Ride lacers. A number of years ago I was traveling alone to visit my family in the Buffalo area. Route 89 was a beautiful stretch of road along Cayuga Lake that I usually drove on my way back to Buffalo, and I remember it being a particularly beautiful fall day for this trip. I do not know about your family, but I would likely be very lost without my wife leading the way in our social activities. My wife leads me, and we are both thankful for some friends of hers who have been including us in their various family activities such as holiday or birthday gatherings. Despite my lack of generating extra excitement to a party, they continue to invite us and provide a spark in our lives. We at Lehigh Outfitters conduct periodic Line Review meetings to help us identify products to possibly add, drop, or update. These meetings can be challenging, yet productive, as they involve the input of a number of key people who can provide input based on their various backgrounds and perspectives. Our recently concluded Line Review included the talents of our Lehigh District Sales Manager from Texas. Timberland PRO series footwear is built with a purpose. Their people look at what’s needed for feet to perform at their best on their job and design products to meet those challenges. 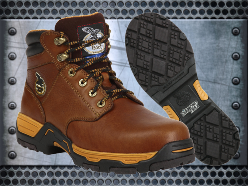 Look for a wide variety of styles from Timberland PRO on our web site including Timberland Pro Pit Boss steel toe work boot stock #’s 33032 and 33034. Economics, Accounting, Calculus... I'll Take Shoes! It was just about thirty five years ago that my parents were taking me to begin my freshman year at Grove City College. I was basically terrified because it was my first time living away from home, and I really did not know what I wanted to do in the future. My first semester of freshmen year was overwhelming as I tried different classes. Economics was one class that I struggled with the whole time. Accounting never came together for me until the final exam (and I was relieved to be done with it afterwards). After returning from my vacation, I see that we had received our share of Ask an Expert questions that were well addressed by my cohorts while I was away. One particular question that was raised related to the different grams of Thinsulate insulation. The timing of this question was excellent because our Director of Consumer Sales, Joe Hanning, has an outstanding background in outdoor related footwear and he was the person answering these inquires while I was away. August 12, 2010 -- By the time that you are reading this blog, I will hopefully be relaxing away for our annual weekly vacation at the beach in Stone Harbor, New Jersey. I plan to be focusing on a different type of toe, foot, and body protection during this week using my share of lotion on my skin that has not seen much exposure to the sun in quite some time. Here we are well into summer and the baseball races are heating up. It takes me back to my childhood routing for the Pittsburgh Pirates. My father interested me in them at a young age. We did not live in the Pittsburgh area, so it was a real thrill for me when I was able to go to my first major league game during a visit to Pittsburgh when I was probably about ten years old. 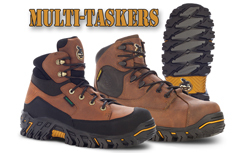 We offer a wide variety of protective toe hiker styles in our Lehigh Outfitters selection. 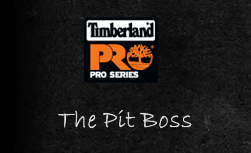 One of our key partners is Timberland PRO. 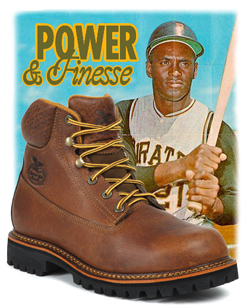 While there are certain Timberland PRO styles we offer on a regular basis, there may be periodic times where we access some of their other products that we choose to try as a test. Those of you that have read our Ask an Expert blog have likely caught on that I am a huge fan of our Georgia FLXPoint products because of their extreme flexibility and underfoot comfort. 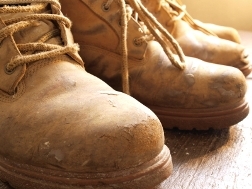 We have encountered different comments over time regarding the ability of boots to resist the harsh work environments of working in concrete. Concrete can be very harsh on boots in different ways. One question we would have is does leather footwear tend to hold up acceptably in your particular environment. If it does, we have some good composite protective toe all leather styles that could be well worth your consideration. 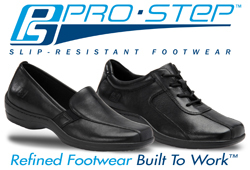 We receive many inquiries regarding what footwear we have that helps deal with the stress and strain of walking and/or standing on concrete floors for long periods of time. We actually have a number of different styles that we might suggest under those circumstances, but these suggestions can also be significantly influenced by what other features are needed by a particular customer. 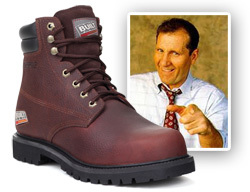 Who Makes the Best Work Boots? Being a person who has spent most of my working life involved in the development and functionality aspects of footwear, our marketing people have taken on the challenge of trying to make me into a marketer. They throw different terminologies my way that I don't understand (such as a White Paper – Isn’t most all paper white unless it is a special colored version?). Believe it or not, the article that I am to put together here is to be a White Paper and it is to be my first shot at trying one. We will see how I do from here. 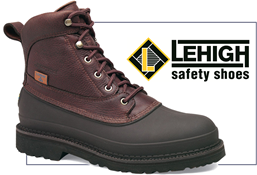 Lehigh Outfitters has been providing protective toe safety shoes since the early 1920’s initially under the name of Lehigh Rubber and Leather Company. 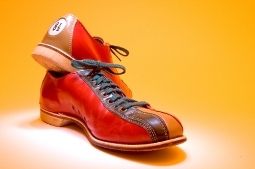 Until approximately 20 years ago the only option for protective toe footwear was with steel toe caps. 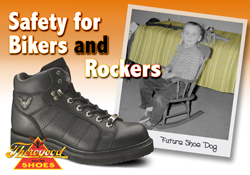 Steel toe footwear has served the industry well over this time and continues to do so today. However, one key addition in the past 20+ years has been footwear with non-metallic composite toe caps. Like many of you, we have been dealing with our share of snow and cold weather lately. Keeping that in mind, we wanted to highlight some of our footwear products with special features to help you deal with cold conditions. 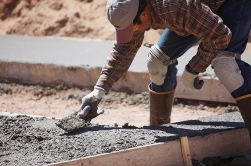 I think that one of the more frequently asked questions we receive is what can you recommend for working (be it walking &/or standing) on concrete for long time periods. A number of years of my time in the footwear industry have been spent in the Product Development area. While my eye for style has never been strong, I have been fortunate to work around other talented development people who I was able to learn from as well as utilize some of their skills, while I concentrated more on the detail aspects. This boot is not a waste! 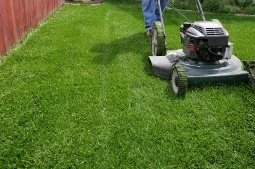 Can someone mow my lawn while I'm gone? The Lehigh Outfitters organization has decided to start our own blog to help provide various product related information that may be helpful to our customers.